Color is everything when it comes to interior designing, Whether you opt for a bright and vibrant palette to energize your interior or a calm and relaxing set of hues to bring peace and tranquility to your home, choosing the right palette should definitely fit your personality. 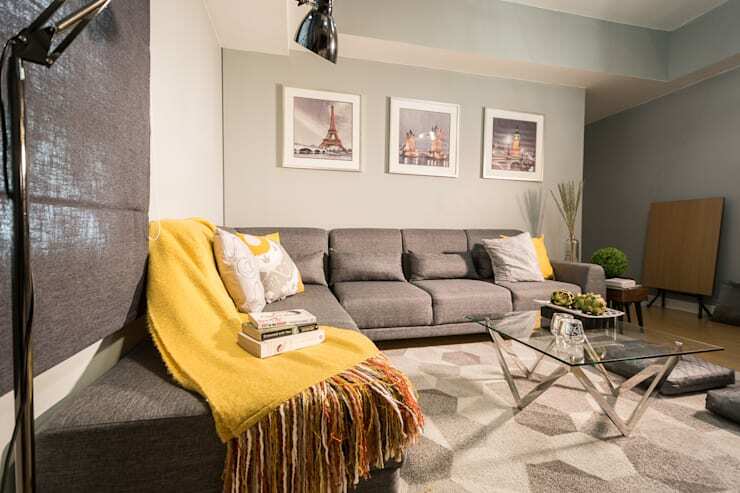 Color also creates feelings and moods and it is owing to these features that designers and homeowners need to utilize it wisely in order to create an appropriate atmosphere in a given space. Here are 6 top favorite color combinations that will suit any personality and create a great mood for the home! A grey and white interior gives a subtle elegance without being too conservative. It creates a clean and refreshing appearance to any interior. If you have too many one shaded greys, areas will become predominant and monotonous, That is why it is best to blend it with white and other shades of grey. Green, as we very well know, is the color of nature. It also symbolizes hope, good luck and abundance. It is a cool friendly color that mixes well with many other colors, especially white. Pictured above, this calm and collected bedroom features a grey and white palette that refreshes the mind and soul of the homeowner. 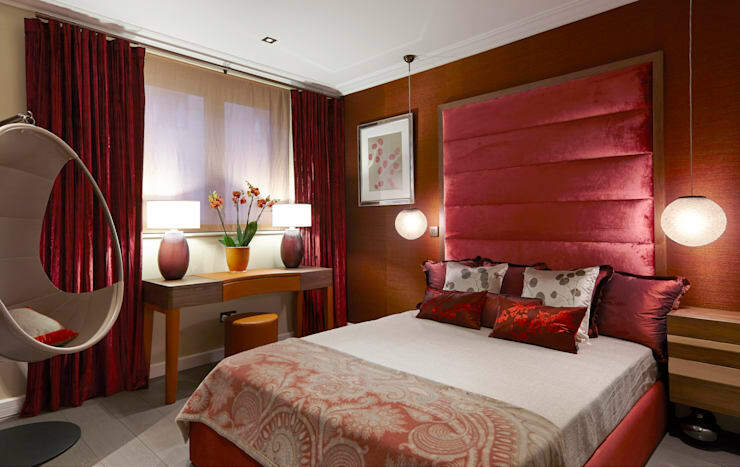 A little more stronger than the first two examples, this bedroom design features two bold colors: Red and Brown. Red is the color of fire, passion, and strength. This bold color stimulates and excites. It can be warm and inviting and can also make you feel energetic. Avoid using too much red as it can be over-stimulating in the home. This is where brown can come into action. With the brown color, you can induce a feeling of naturalness and comfort to your home. It balances the strong appeal of red that makes the room feel grounded. This fresh, peaceful palette is used widely in interior design theory where it can instill feelings of sophistication. Beige brings a sense of maturity to the room and white can help smaller spaces appear large. 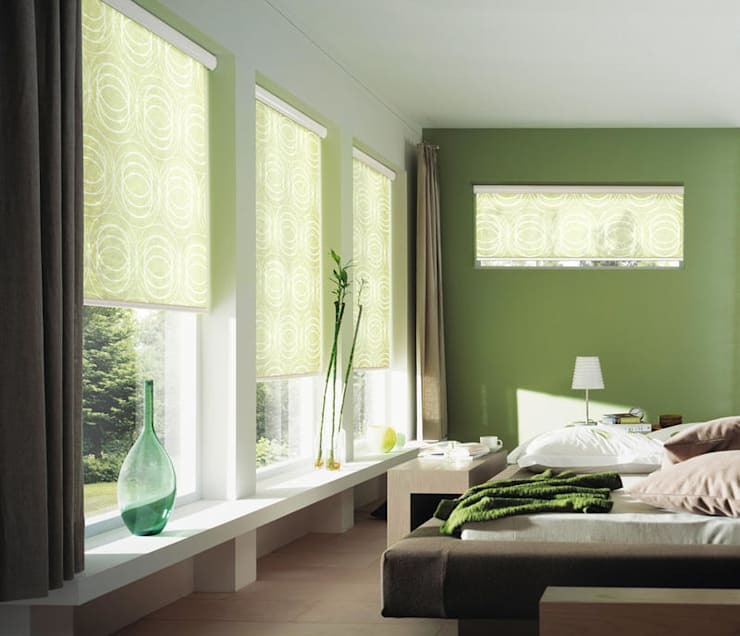 It can also make rooms look livelier, fresher and crisper. With both colors, your room will definitely create a simple yet classy vibe. 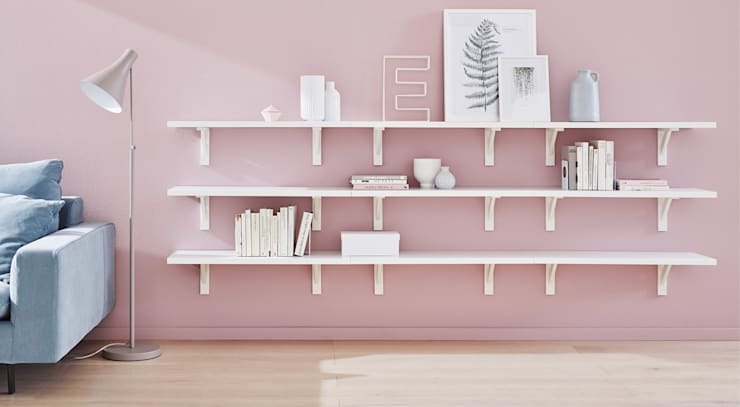 You can use the pink color to create a fresh and fine atmosphere in the house. In most perceptions, the color pink color is seen as a feminine color and it is often associated with everything related to girls. In general, used in interior design, the psychological effects of color pink is soothing and comfortable. Blend it with white for the best effects. 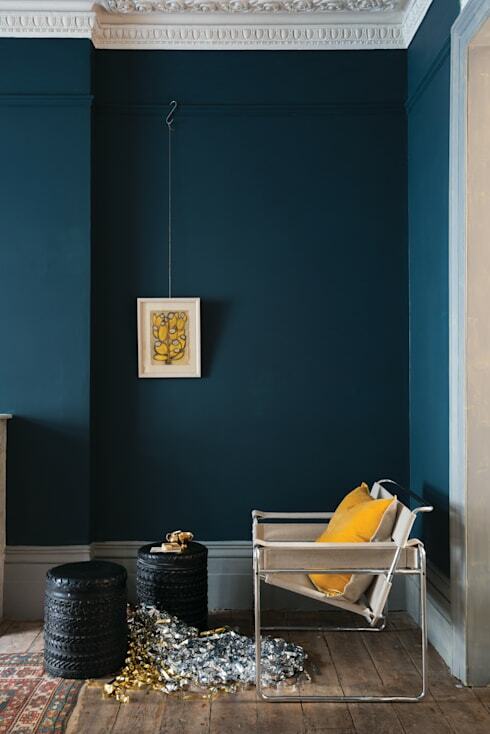 Blue is an important color in interior design and it affects the human mind profoundly. There is a reason why blue is the perfect color for bedrooms. It instills a sense of serenity and peace and can be a very soothing color. In bathrooms, it can be used for creating a spa like tranquil atmosphere. This cool, quiet and reserved color can also represent formality. It is best when paired with white since too much of blue can be depressing, so use it wisely. Feeling a little more adventurous? Check out these 21 ideas for color-blocking your home!